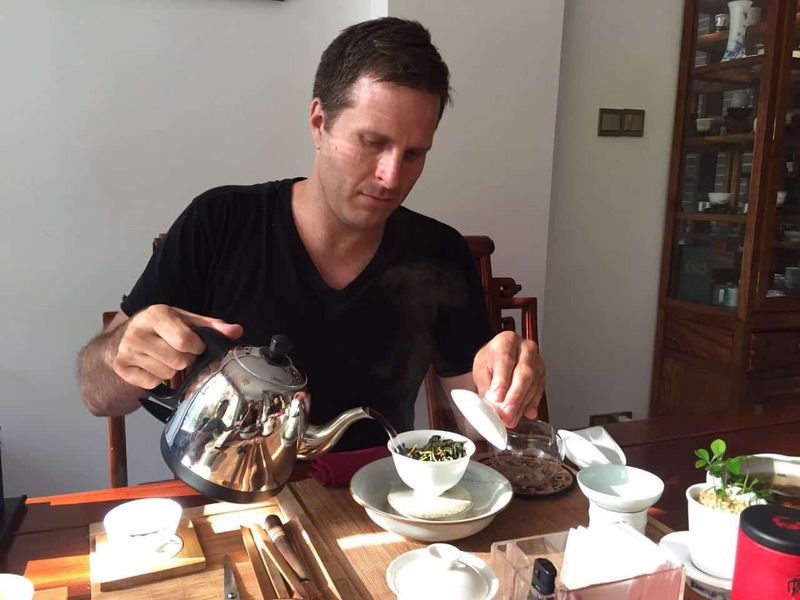 Jeff Kovac is an instructor and lecturer for the Tea Association of Canada and owner of Four Seasons Tea Co. His tea life began while he was working in Sichuan Province. He studied tea there under tea arts master Lu Xing Chen. Jeff has gained unparalleled access to some of the highest grades of tea from China’s Sichuan and Fujian Provinces. Teas of this quality are rarely found in the West. Because of the rarity of these teas that are often quickly snatched up by wealthy locals, Jeff sells most of his collection in small 5-10g packets to keep them affordable. I was particularly blown away by the quality and aroma of his Nong Xiang Tie Guan Yin (浓香铁观音). 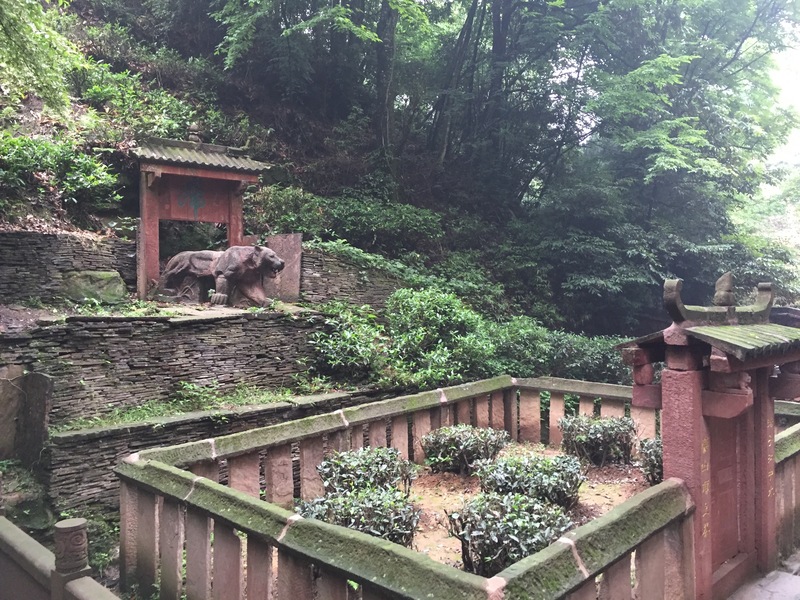 This tea led me to explore his catalog further and as I did so, one thing became clear — he has really good sources and was one of the most knowledgeable people I’ve spoken to regarding teas of Sichuan and Fujian. What is your background? What got you into tea? I grew up in a tea drinking family, my grandmother ran restaurants in Toronto, and in our family we always had black tea with milk after meals and so forth. Tea was always served in our family. What got me curious about tea was an article I had read, about the Darjeeling tea growing regions in India. I had gotten my hands on some loose leaf Darjeeling tea and it opened up a whole new world of tea and a new tasting experience. In 2009, through a close friend and his mother, I was introduced to some higher end Chinese teas like Sichuan Jasmine and that was the beginning of my interest in Chinese tea. We then took a short trip to China, and 8 months later I moved there and began to absorb the language and the culture of Chinese tea. In Sichuan Chengdu, (where I lived) they have a huge tea culture, and my neighbor was from Fujian (Anxi) and he really educated me on the ins and outs of Tie Guan yin. Also, I was very lucky that through a friend, I was introduced to master Lu Xing Chen, a Sichuan Tea instructor, and the rest is history. I studied intensely under Master Lu, where I acquired much of my knowledge about different teas, cultivation, preparation and evaluation. Living abroad allowed me to develop relationships in the Chinese marketplace prior to beginning Four Seasons Tea Co. which lead to a smoother upstart without needing to worry about things such as sourcing. Because I do not have a store, which requires rent and staffing, I feel I am free to carry the qualities that I want. I am not bound by the pressures of a retail store, so I am able to carry the authentic unblended teas of the highest quality. I also try to focus on Pre-Qing Ming teas when possible, though these are the most expensive and hardest to source. As a tea enthusiast’s palate develops, one begins to develop and master a complete understanding of a particular tea and at Four Seasons Tea Co., we only sell teas that we feel we truly have studied and understand. How the teas react at different water temperatures, how they react in different mediums (clay vs. porcelain) the correct quantities of tea and how they should be prepared. I evaluate many criteria such as weather patterns, aroma, the leaf, the soup, the taste, the feeling, the durability and size of the leaf, and time of harvest. All of this comes from years of study and guidance. I currently have a few teachers of tea from whom I learn when I am in China, one for green tea, one for Yan Cha, one for Bai Ya Qi Lan, one for Taiwan Tea, and one for preparation and tea culture. Your teas seem expensive, tell me about the grades you are sourcing. I try to bring in the highest quality possible at all times. Tea is a commodity, sometimes weather is a factor, like (too much rain) and other environmental risks. If a tea doesn’t meet our standards, meaning the correct flavor profile and durability isn’t there, we don’t buy it. As an example, we did not buy 2016 Meng Ding Gan Lu as it was too vegetal and did not have the classic roasted chestnut flavor profile that we should expect from that tea. We taste, pour, taste, study the leaves and then decide about what teas to carry. Again talking about the experience, I believe tea ware and your tearoom shapes the experience. We like the traditional crafts of tea ware and we seek out the highest quality (handmade when possible) from China, for instance our Shao Ya Jingdezhen porcelains are authentic, take months to make, are completely handmade and painted and are sourced from one of the top three manufacturers in China. They truly are some of the few remaining modern day treasures that can be obtained from China. Shao Ya tea pots retain heat and will pour a better tasting cup of tea because of that, so I believe that as a student of tea seeking the best, it is worth the investment to have something that will bring you joy for the rest of your tea drinking days. We have recently added to our porcelain catalog, 100% handmade silver Korean tea pots (99.9% pure silver). As for the teas, I seek out the best producers for the teas that they make. Da Xing Wang, our Tan Yan Gong Fu black tea producer has recently been certified as an organic producer. In my opinion, they are the number one producer of Tan Yan Gong Fu. My Bai Ya Qi Lan comes from the number one producer of that type of tea. My high-end Wuyi Mountain teas are all from different masters at the highest level. Our Gui Dong Tie Luo Han, (or ghost cave) Tie Luo Han and 9 Dragons Den Wuyi teas are from Masters revered in the Wuyi Mountains. Unfortunately, I am not a liberty to say who, but we have 3 that we source from. I am serious about quality and authenticity. When we say its handmade, it really is, if its half handmade or from a neighboring growing region, we tell you. This is why some teas are much more expensive than others, not that outside the mountain tea is bad or anything, but the growing conditions are different (such as soil) and to be a specific style of tea, the best come from the choicest growing areas, which also put much higher prices on them. 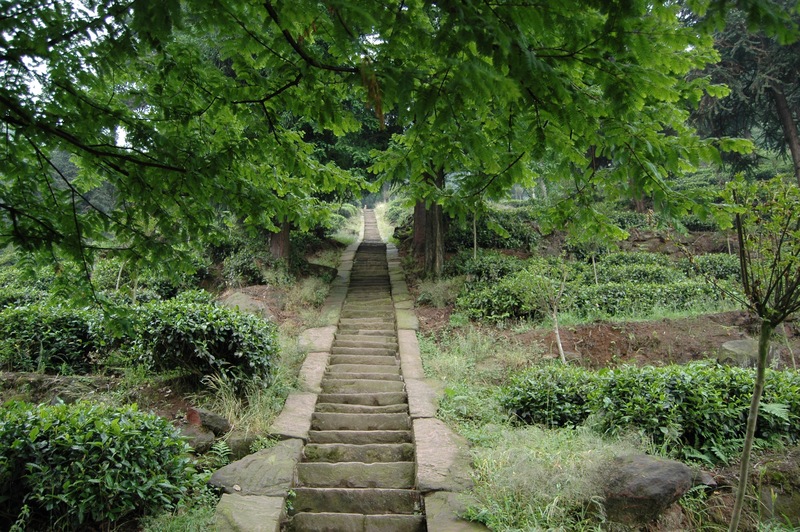 All or green teas are Pre-Qing Ming teas, which, because of the early spring plucking, these are the choicest leaves, grown without the need for any pesticides as the bugs arrive later in the spring. Sichuan green teas are famous across the world for their roasted chestnut, green yellow soup and silky mouth-feel. We do our best to make these teas available to fellow students of tea and people looking for a world-class tasting experience. What regions are you focusing on and why? I try to find the best of the regions which I have experience in, most of my tea comes from Fujian and Sichuan. I have the resources and relationships and in turn, have access to some of the best manufacturers of their respective teas. I look to make these available to the western markets for fellow students and advanced tea enthusiasts. When you get a good handle on tea and how it can be shaped and judged, you can then apply these rules to new teas and the environments that they come from to seek out and new teas and tasting experiences. Please tell me about your Nong Xiang Tie Guan Yin. What are your plans for the business? Who are your customers? I’m currently focusing on slowly growing my business and working on my YouTube channel which has just launched. I will be adding more videos of the traditional preparation methods of the teas that I sell. Making the tea properly is so important in understanding the tea’s character and the way that the tea should be consumed. Its like drinking wine from a whiskey glass, you wont enjoy the aromas or the nuances as much. I am hoping to spread this knowledge the way it was taught to me in China. I saw an opportunity to bring these types of teas to the western market for tea professionals, students of tea, some experienced Chinese tea drinkers and advanced tea enthusiasts. 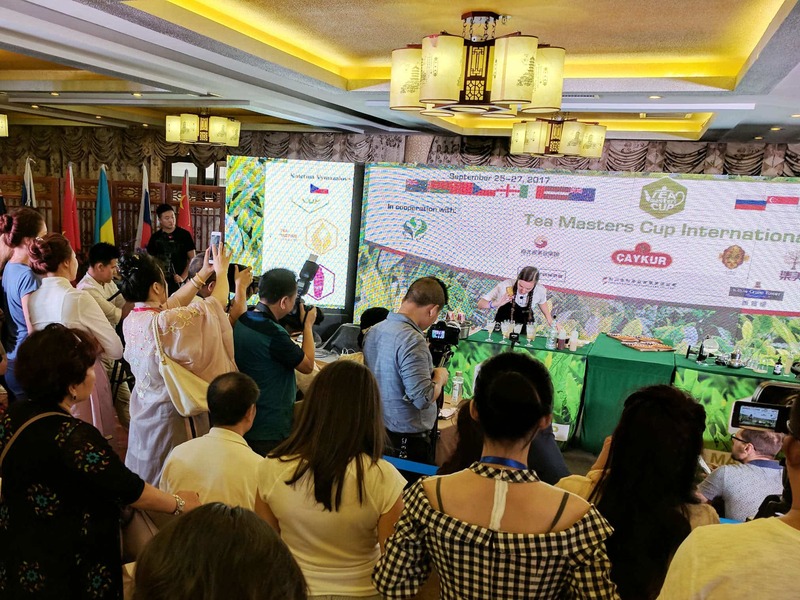 I love sharing knowledge and feel that tea should be enjoyed by all and we try to remove the “Jianghu” or barriers for Westerners who may be interested in enjoying some of the best teas that China and Taiwan have to offer. This is our focus for the future and welcome all to try our teas! To learn more about Jeff and his tea sourcing adventures, visit his website, Four Seasons Tea Co, and his new YouTube Channel.